The state of captivating natural beauty, Pennsylvania (PA) is a great destination for family road trips as well as quite getaways for two. As you travel through the Keystone State you will encounter some great tourist attractions, popular sightseeing places, historic sites, churches, parks, monuments, gardens and fine restaurants. 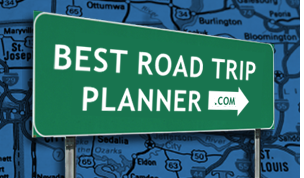 Pennsylvania scenic byways are your gateway to fun and recreation within the state. Explore Poconos Scenic Drives, Laurel Highlands Scenic Byway, Route 6 and many others. You can be certain of beautiful views as scenic drives and historic routes guide you through Lake Erie coastline, charming country towns, Gettysburg, a famous battlefield, and two major cities - Philadelphia and Pittsburgh. The route starts in Erie, PA, where you can stock up on gas and food for the entire 12 miles of this scenic drive. A Gold Mine, Reservior, and River Road...in one trip! Other than Harrisburg, all the towns this trip goes through are small towns. The path takes you through a series of small towns.